"Dan is the most competent attorney that I have dealt with in my 37 years in the utility business." Drawing on his ability to view situations from the perspective of his clients, Dan Gunsett acts as a corporate counselor for boards of directors and executives. Understanding what clients want to accomplish enables Dan to provide practical advice to help achieve those results. 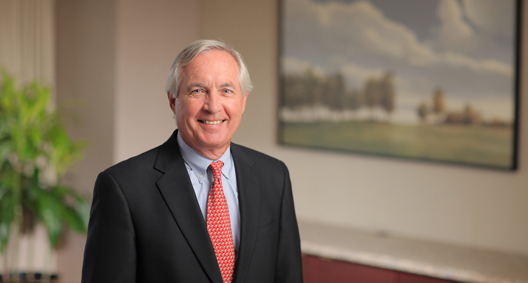 Dan is ranked in Chambers USA: America’s Leading Lawyers for Business and is listed in The Best Lawyers in America. He formerly served as the managing partner of BakerHostetler’s Columbus office, until he reached the age limit for that role. Serves as outside general counsel for several clients, including two electric cooperatives and an integrated energy cooperative. Assists boards and management in corporate governance topics and business matters, including governance assessment, board and executive evaluations, board/management relations, fiduciary duties, strategic planning, and succession planning. Serves as corporate counselor for companies in the energy and environmental arenas. Draws on his depth of knowledge and experience gained from long-term service on the public board of Greif Inc. (NYSE-GEF), decades of serving as outside general counsel for clients, and experience in the energy and environmental fields to provide advice and counsel on business, strategy and governance issues.